This year's holiday design workshop will be held at Acalade, the new event center at Hamilton's. 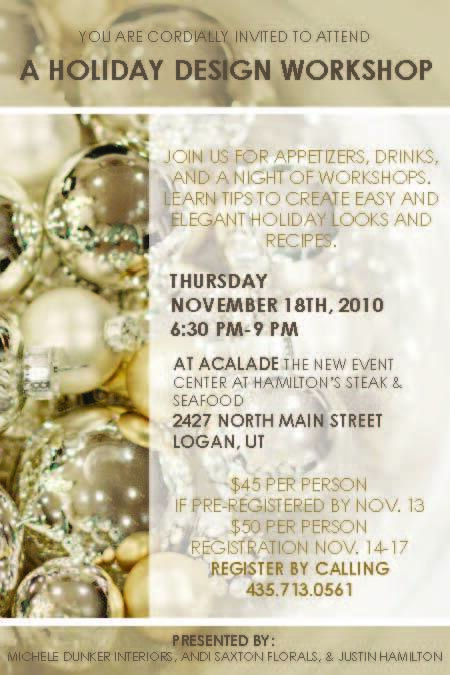 Come enjoy a night filled with fun holiday tips presented by Michele Dunker Interiors, Andi Saxton Florals, and Justin Hamilton. Appetizers and drinks will be served throughout the night.